When you play in the Hacker’s Tournament, you become part of our growing family of individuals and businesses who want to make a difference. I was lucky enough to grow up in a neighborhood with lots of friends my age. We spent a lot of time in and out of one another’s houses, and my friends’ mothers became as important to me as my own. None of us were prepared when Ryan and David’s mom, Carolyn Hamm, died of breast cancer in 2004. Not even five years later, we had to deal with another tragic loss when Rick’s mom, Ann Gutshall, was diagnosed and died of breast cancer. When I first launched the tournament in 2010, I wanted Carolyn and Ann to be remembered and I wanted to bring some level of healing to good friends. I had the feeling we could raise a lot of money and I wanted to give it to an organization where I knew it would have the greatest impact. I researched several non-profits and chose BCRC. They are a local group providing services directly to women with breast cancer. Staffed by survivors, they know firsthand what women and their families really need. Time and time again, BCRC has consistently proven to me that they operate on the front lines. They were the actionable organization I was looking for. Since I started the tournament, women close to those who play in the event have been diagnosed with breast cancer and their husbands have come to me with this news. Unfortunately, I got a call like this as recently as last week. Just like before, I watched as within a single day of making BCRC aware of the situation, a representative from the organization visited the homes of these women to provide comfort and expertise. Cancer has always made me feel so helpless. 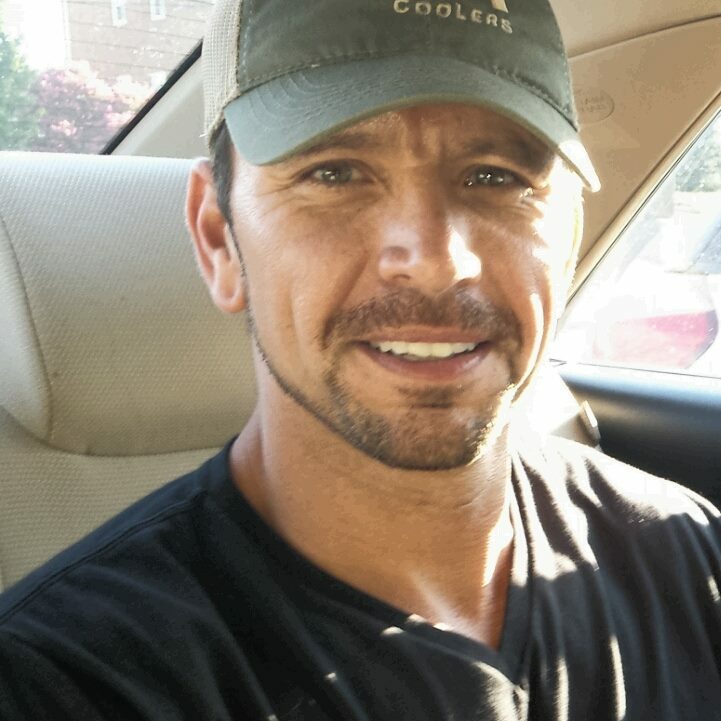 But through BCRC I feel like I have made a difference for these families, which to me means more than anything. I am so proud to be associated with the Breast Cancer Resource Centers of Texas. Our tournament is open to anyone who wants to join us – there are no skill level requirements. We invite you to join us, not take your game too seriously, and raise some money for a great organization. I like to think the Hacker’s Invitational isn’t your average golf tournament – it’s a whole lot more fun. 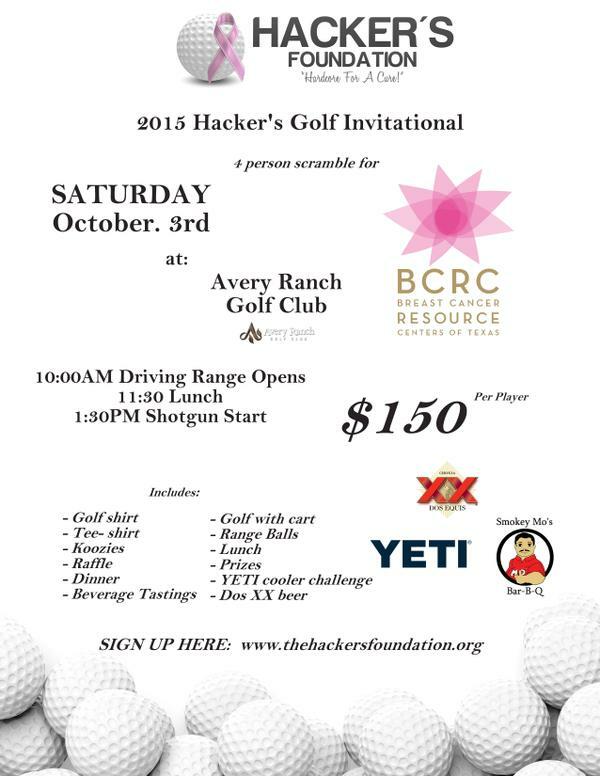 The Hacker’s Foundation will host its sixth annual “Invitational” event on Saturday October 3rd at Avery Ranch Golf Club, located at 10500 Avery Club Drive in Austin. The Hacker’s Invitational Golf Tournament is open to the public and anyone can play. Food and beverages are provided by sponsors like Heineken, Dos Equis, Twin Peaks, and Smokey Mo’s BBQ. Awesome prizes are contributed by great local sponsors such as YETI Coolers, Steiner Ranch Steakhouse, Uchi, Top Golf, Alamo Draft House, Arbor Car Wash, and many more. One hundred percent of the net proceeds are donated to Breast Cancer Resource Centers. Anyone interested in participating can sign up online via the Hacker’s website at http://www.thehackersfoundation.org/register/sign-up/.